WHY SO MUCH ‘ELECTRICITY’ AROUND THE SYNOD? - The Synod that ended last Sunday (October 25, 2015) was one of the most awaited and well-followed ecclesiastical meetings since Vatican II. The “electrical charge” of the event did not start this year. It flared up in late 2013, when the Vatican ordered all the Dioceses of the Catholic world to make a poll to know the opinion of as many Catholics as possible on issues to be addressed by the October 2014 Synod – many hot topics related to family life were included. From then on the “electricity” started. It increased during the Bishops Synod - 2014; it continued to grow throughout this year, and it reached unknown heights in the assembly that ended some days ago. The question is: What caused it? Someone could say that the cause of this extraordinary interest was the heat of various moral topics: birth control, pre-marriage cohabitation, Communion for divorced and “re-married” couples, and homosexuality among others. I agree that the ensemble of these topics is enough to raise public interest. But, Francis, who has all the powers of a Pope, has already done a lot on moral issues with broad repercussions around the Catholic world. Let us take, for example, his approach on homosexuality – “Who am I to judge?” It opened all the moral dikes that were still closed. The so-called “Francis effect,” when applied to homosexuality (here and here), caused the majority of the Bishops around the world to modify their moral approach, if they were not already promoting and welcoming homosexuals. An analogous thing could be said about pre-marriage cohabitation. I remember that before the Synod-2014, Francis performed a spectacular marriage ceremony at the Vatican with 20 couples, many of whom had lived together without being married. When I analyzed that episode, I found no solid evidence that repentance and confession had been demanded from those pairs before they married and received Communion. So, before any discussion started with the Bishops, Francis had already given the answer to that specific problem, which is: “Accept the couples as they are. Do not impose the ‘torture’ of a confession or other démodé methods of the past.” Most of the Bishops caught the message and adapted their actions accordingly. I could give examples of each of the moral issues broached in that survey and in the Synod agenda. All of them are being meticulously addressed by Francis with his apparent “spontaneous” style and actions. To each of them he gives the most radically progressivsist solution. It is my opinion that, regarding the moral issues in focus, if Our Lady does not intervene, Francis will raze each of the columns of morality that still stands. The Bishops will follow suit, sooner or later, as they have done on the two issues I mentioned. If, regarding the moral issues of the progressivist agenda, the Pope can destroy everything by himself, why convene two Synods to discuss these topics? Why the great expectation and electrical charge? Politically speaking, there was no clear advantage for Francis and for Progressivism to call one Synod, much less two. 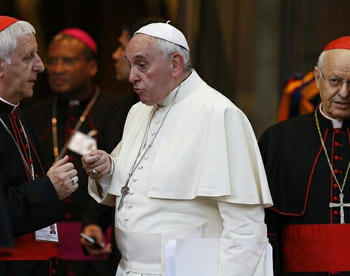 On the contrary, there was a clear disadvantage: Since it is rare to find a Bishop who is as radically progressivist as Francis on moral issues, once a large group of them get together and are given the right to speak their minds, it would be predictable that some Bishops would set up obstacles to Francis' policies. The question returns: Why the two Synods? Why that electricity around them? I believe that what caused that charge was not the heat of the moral topics involved, but rather the perspective of changing the Catholic Church in her very structure from a monarchy to a democracy or, in ecclesiastical parlance, to a Synodal Church. This purpose was not explicitly announced, but could be discerned hovering over the Vatican initiatives these last two years. This perspective of changing the form of government of the Church justifies the mentioned survey, and the call for two successive Synods. The purpose of that poll is only fully explained if we understand it as a plebiscite that the Pope and the Bishops “needed” in order to know how to orient the Church. As in every plebiscite, the presupposition is that the people act as the king and the authority only exercises power in their name. It is not hard to see that, in practice, the Church is now being conceived as a democracy. The same could be said about the convocation of the two Synods. They were expected to be a kind of House of Representatives of Catholics around the world: Bishop-delegates who bring the demands of their communities to Rome. Thus, I believe that the theme that caused the electricity was the undeclared plan to transform the Church rather than the moral issues of the agenda. That electricity around the two Synods had something of the États Géneraux of the French Revolution, which also transformed France from a monarchy to a republic. 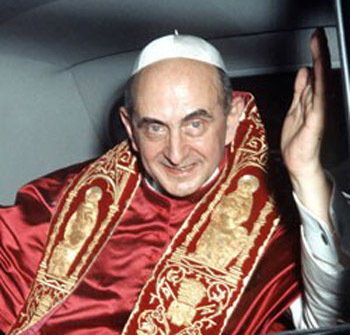 When Paul VI instituted the Synod of Bishops in the Church in 1965, he planned a biannual meeting of the Bishops with deliberative powers. He intended for that body to have a permanent representation in the Vatican, so that this type of House would always be demanding something from the Pope. The aim: to make the Church a democracy and the Pope a kind of Queen Elizabeth, a decorative figure. This plan stumbled on countless traditions, habits and atavisms either in the Roman Curia or among the Bishops. For a long time those meetings took place every two years, but the Synod never became an assembly with deliberative powers, even when Paul VI or John Paul II tried to impose this on it. It continues to this day to be a mere advisory body. Up until the last two Synods, it had worked like this: The Bishops gathered with a pre-determined agenda; each had five minutes to explain his points; then he would sit down and let the next Bishop talk. When all had spoken, their suggestions were collected by a commission that composed a document based on them. The Pope would read it, add some corrections and sign it. This signed document was called an Apostolic Exhortation. With time, the Synod became a bureaucratic institution so steeped in torpor that its bi-annual meetings became quinquennial. Almost nothing of that first original revolutionary plan was accomplished. Now, Francis, who is shaking everything in the Church, seems to have received from his bosses the task to make the Synod return to the first ideal of Progressivism. “It's now! 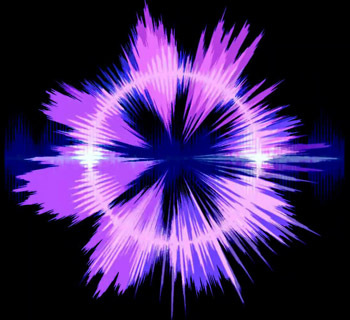 The time has arrived!” – this is the message that the electricity seemed to spread. Here is my reading of these events. If this is correct, then a sad consequence follows. Many well-intentioned people thought that only the moral issues of the agenda were at risk and were running in circles trying to prevent a catastrophe from taking place: that is, to prevent the Kasper proposals from winning at the Synod. It was a good thing to go against the German line, no doubt, but unfortunately it was done in a way that caused the water to flow stronger at the mill of democratization in the Church. So, we witnessed good traditionalists cheering for the “conservatives” to defeat the Francis-Kasper line as if they were dealing with a dispute in the American Congress to defeat a bill proposed by Obama and supported by the Democrats. By admitting this new role of the Bishops at the Synod, they were playing into the plan of democratizing the Church. I am not saying that the moral issues on the family were nothing but a pretext. The issues exist and the Bishops in the Synod addressed them, as anyone can read in their final report. What I sustain is that those issues were rolled around another topic that is even more important: the democratization of the Church. An example may help explain how the two topics intermingle: Today there are hot dogs that come with a strip of bacon rolled around the sausage. The two items are grilled together and eaten at the same time inside a bun. For me, the bun is the Synod, the sausage is the democratization of the Church, the strip of bacon is the moral issues, and the cook is the Francis-Kasper line. The appealing smell of the grill and its fame are components of what I call the electricity around the Synod. How to define this electricity? How can it be generated? Who are the agents spreading it? What was the “shock treatment” Francis used to bend the Bishops in the Synod? What are the results of the Synod regarding democratization? What is the future of this maneuver? These are questions that I am obliged to leave for another occasion. Otherwise, this article would become a booklet. What Kind of Pope Is This? Is the Catholic Church still a Monarchy?